Making a rag rug has been on my project list all year, but two things happened recently that caused it to move up on my priority list. The first is that I collected bags full of old t-shirts to bring to a reuse event at MakerFaire but didn’t get them to the person who was taking them in time. 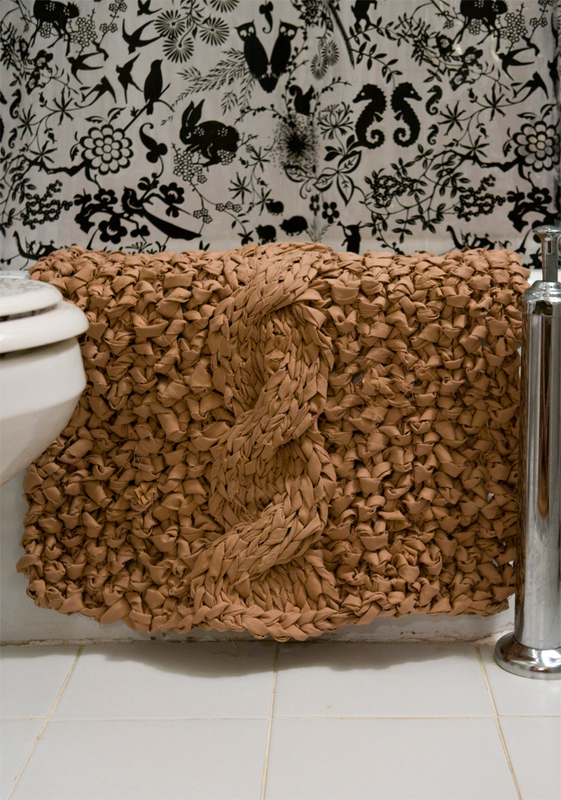 The second is that this photo by Stephanie of A Common Thread showed up on one of the craft blogs I read. Isn’t it amazing? I’m half tempted to go rip up a comforter and just recreate it. I started ripping up my t-shirts last night and am on my way to having a tidy collection of rags for this rug. I’m leaning more toward braiding than knitting at this point, but who knows what I’ll decide by the end of the week? That looks fun! Are you going to try it?